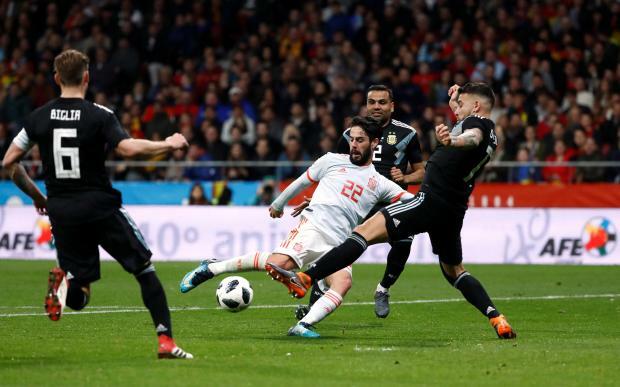 Argentina people criticize Messi for all unhappening of their national football They blamed Messi for failing the game against Spain which gave the a historical lost. But Brazil born Diego Costa believes that the people of Argentina should give thanks to God for Leo. This forward-looking believes that Argentina is different without Messi and it proved again in Spain match. On the other hand, the country’s legendary legend Diego Maradona does not like messi’s leadership at all. He has not even been criticized for the player in this regard. But number of teammates has praised the leadership of Messi in the national side. After a crash in Spain in the friendly match, Argentina went to the dressing room to inspire his teammates, according to a local newspaper. Messi has not been able to play for Argentina in the last two matches due to a hamstrea injury. Apart from him, the team won the 2-0 win over Italy in Manchester on Friday, but could not reach Spain. Jorge Sampoli’s team left the field with a 6-1 goal rate. Messi was seen leaving the gallery in the 77th minute of the match. Argentina’s top local daily La Nacion said that at that time Messi had left the team locker room. The team’s most important player is inspiring to team-mates without huge losses. The head coach Sampaoli praised Messi’s responsibility for the team after the match. Coach said the regular captain of the team was motivating the players in the match. He also seen to talk with the players during the match breaks. Messi’s Argentina did not meet in the final three consecutive three major tournaments, reaching the final. In 2014, they were defeated by Germany in extra time in the Brazil World Cup final. However, due to this the star, Argentina won the main event in the World Cup. In the shortlist, their last match against Ecuador became the fight of survival and survival. On October 10, Sampauli’s team confirmed the Russian tickets by winning all the uncertainty with Messi’s hat-trick by winning 3-1 goals. The Argentina captain won all the titles for Barcelona, ​​but still he could not win anything for the national side. Despite of reaching three consecutive final the captain could not able to win any title. In 2014, Brazil World Cuo Germany beat Argentina 1-0 in the final match. Then, in 2015 and 2016, the team defeated by Chile twice in the Copa America final. Earlier, in the 2007 the two world champions are failed to win Copa America title.